Snowfall on Alaska mountains has doubled – climate change blamed | Watts Up With That? Time series shows the dramatic doubling of snowfall around North America’s highest peaks since the beginning of the Industrial Age. Inset shows summer (red) and winter (blue) snowfall since 1870. CREDIT Figure provided by Dominic Winski. The research suggests that warming tropical oceans have caused a strengthening of the Aleutian Low pressure system with its northward flow of warm, moist air, driving most of the snowfall increases. Previous research has linked the warming tropical ocean temperatures to higher greenhouse gas concentrations. For this analysis, researchers were able to segment the ice core records by seasons and years using markers like magnesium from spring dust to separate winter snow from summer snow. To account for snow layers getting squeezed and thinned under their own weight, the researchers applied four separate equations used in other studies, and in all cases the corrected record shows at least a doubling of snowfall. December 19, 2017 in snowfall. Today’s paper had a report by an AP sports writer claiming that climate change was disrupting winter sports and the coming Winter Olympics because of warmer temperatures and lack of snow. It seems winter sport athletes just need to relocate. I thought Alaska was the “canary in the coal mine.” I guess that only applies to part of Alaska. If I were looking at an ice core, how would I know that a summer melt 800 years ago didn’t remove 382 years of data? Obviously, everyone is just going to accept McClode’s one line rebuttal to a subject towards which the McClode thing has never proven any knowledge, experience or education. All that is required for McClode’s abject acceptance and adulation is that a claim be issued by alarmists. Or did the McClode suddenly learn science overnight, no less? Few comment as frequently with near zero accuracy or veracity, nor as much error as the McClode. McClode does not provide evidence, explanation, examples or reference. It’s comment is devoid of links to research, expert citations, or any extraneous science. McClode always assumes alarmist research is correct, especially that science where the researchers admit ignorance; but freely invent spurious correlations and causes. • No second or tertiary validations or verifications. This Dartmouth research team knows all. • Gross assumption that other ice cores are not studied thoroughly. • Gross assumption that their ice core analysis is accurate; and that their assumptions are correct. • Then there is that model business? Everyone knows that models programmed by the biased are so accurate. Nor does the researcher’s admissions where they repeatedly substitute the words “climate change” for weather, have any effect on the McClode. Notice that the researchers claim they can distinguish seasonal snow layers, but never mention layers where age or layer thickness can be verified; e.g. specific volcano eruption ash layers. • Magnesium means spring? Assuming that magnesium is only airborne in Spring? • Four separate snow layer equations? Such assiduous scientific effort. Again, data tortured into confession. Unsurprisingly, the researcher, Osterberg uses his own previous research and assumptions as the base to this current research. What is your anwser to the question? If ice cores are so accurate and wonderful, why do we even bother to use instruments? (summer) Melt layers are easily recognised and accounted for. There are different techniques to detect the difference between summer and winter layers (differences in density, conductivity), if the layers are sufficient thick but not directly visible. Further (verified in modern times) firn densification models are used to estimate the average layer thickness from snow deposit in warmer and cooler periods and translate that to age at depth, if the layers are too thin. Last but not least, one uses common known volcanic events of huge magnitude which dropped some layer of dust worldwide on snow to compare the “time stamp” of the layers. Depending of the layer thickness, one can have yearly resolution for North Atlantic temperatures (Greenland) or SH ocean temperature proxies (WAIS divide, Antarctica) over the past ~120,000 years, and centennial temperature proxies of the SH oceans over the past 800,000 years. Global CO2 levels are directly measured in the gas phase over the past 150 years with a resolution of less than 10 years, up to 800,000 years with a resolution of ~560 years in different Antarctic ice cores. Greenland ice cores are unsuitable for CO2 measurements due to in situ production of CO2 from the reaction of sea salts with frequent acid dust deposits from nearby Icelandic volcanoes. A great question, ….. DonM, ….. and a question that the per se “wannabe” experts are incapable of giving you a sensible and/or reasonable answer for/to. 2. The accepted start of the warm Holocene Interglacial Period (HIP) began at 11,700 years BP. 3. The Late Wisconsin Glacier (LWG) covered much of Long Island with ice up to 3,300 feet thick at 18,000 years BP when it stopped advancing. 4. Via sea level proxies the LWG started to quickly melt at 21,000 years BP. 1. How thick was the GIS at 18,000 years BP? 2. Did the GIS also start quickly melting at 21,000 years BP or at 15,000 years BP? 3. How much of the current GIS is a remnant of the LWG of 18,000 years BP: all, part, or none of it? 4. If all or part of the current GIS is a remnant of the LWG then does the lowest level actually date much farther back than the settled Science date of 11,704 BP? 5. If the settled Science date of 11,704 BP for the lowest level of the GIS is correct then is it a scientific fact that the GIS had also completely melted prior to the accepted start of the HIP and has since reformed to its current 4,688 feet thickness? 6. If the GIS completed melted prior to 11,704 BP then did the earth experience a much more pronounced period of warming prior to the accepted start of the HIP than it is currently experiencing? Ley me ask the computer and I will get back to you. The “pre-industrial” terminology assumes AGW rather than the end of the Little Ice Age. It appears we began keeping records during the coldest period the Earth has seen in 10,000 years. I am a climate change alarmists. I have staked out every weather scenarist as proof of Anthropogenic Global Warmi…ahhhh Climate Change. I cannot be wrong. YOU SHUT UP! I suspect you’re one of those climate change denialists. If you don’t accept that greenhouse effect causes lack of lack of snow, and lack of snow, and don’t accept the goalpost moving GHE to AGW to GW to CC, you’re as good as a regressive revisionist. But then again, who I am to say the amount of snow is not increasing due to climate change. In this case, I think we might even get to be called Denali-ists. Bill Powers!! What?? Are you telling me to shut up? You want me to shut up?? Huh?? Really?? FINE!! I’ll shut up! I’ll definitely just shut right up! I won’t stand around blabbering like some blithering idiot going on and on and on and on and on and on and on if you or nobody else wants to listen to anything I have to say! I’ll shut right up. Just like that, BAM! Ya know what? I know exactly how you feel. Some people just yackety yackety yackety yackety yackety yack all day long and don’t say a daggone thing. Not me though, brother. Straight To The Point Dave is what people call me. I just say what needs to be said in as few words as possible and then I’m done! Over! End of discussion! Good bye! Ta ta! Adios! Au revoir! Ciao! Arrivederci! Farvel!! Αντίο! Auf Widersehen! Dosvidenia! I’ll bet you didn’t know that I almost starved to death when I was a kid because I don’t say much? I talk so little I wouldn’t even tell my pappy I was hungry. Blaming climate change would be fine if climate change didn’t implicitly refer to change caused by man. People need to understand that the climate has always been changing and if it stopped changing, it would surely be broken. Who will make that comment for IPCC AR6. Umm, significantly increased precipitation of the white stuff in mountain ranges causes glaciers to grow and progress – it simply has to. Err, but isn’t this the same “Alaska” that, allegedly, is seeing glacier retreat on a vast scale due to “climate change”? Some mistake surely? My immediate reaction too Ian. Although I feel confident the ‘feminist glaciologists’ will be along shortly to explain it to us patriarchal ignoramuses. They have their own peer-reviewed journal. They must be legitimate. Right, so you already understand there is a logical explanation, but why the need for mysogyny? cephus0 didn’t make that up. I know that in many languages an object can be assigned a “feminine” or “masculine” gender. (I think in Spanish the word for “toaster” is feminine. Nothing “sexist” about that. Just the rules of language. But to introduce sexism into science!? Isn’t politics bad enough? Apparently, false according to snopes that half a mil of federal money was spent on writing such a paper. The half a mil was for two papers on feminist glaciology. Could also be that two ice cores on one mountain sounds like one tree in Yamal for being representative of an area the size of Alaska. Specially with the researchers sitting in a University thousands of miles away. Well, anyway the paper is done for the grant. You might be right. Those equations are based on glacier flow in large ice-caps on more or less flat ground. They might or might not apply in the very rugged Alask terrain. If you are going to dispute their finding you’re going to have to be a bit more specific: like what is your evidence? I’m guessing its more likely you just don’t like their findings. Just think, if only man hadn’t invented the steam engine, we wouldn’t be in this climate pickle. climate pickle can be traced back to Pliny the Elder (AD 23 – 79), at least. You can bet “good old time weather” has been badly missed since humans felt the urge to kill their own in human sacrifice to have it back. That was even before writing. Steam engine not required to mess with weather. a simple stick will do. I read a very nice Kanak tale of why they once had a harsh drought: a fool had offered a small stick of wood to his Hearth’s fire spirit at improper time. The fool then felt the urge to atone by a long and hazardous journey, to get a sacrificing tool, with which he himself cut his own heart out. So cute. Agreed Latitude The system is working the way it should. Their comment that CO2 is warming the tropics is unlikely. Even the IPCC has stated due to the high water vapor and intense convection, the tropics are the least sensitive to added CO2. Modelers point to the Arctic with low humidity as the most sensitive region. And as expected that is where early changes have been most pronounced. That ignores the main question: why the rapid change? Do you blame the aerosols? Not sure about the term rapid (relative to what) but clearly it’s the change in polar bear numbers and I can argue it either way. If the bear population has increased then clearly the bears have hot feet are having an impact. If the bear numbers are decreasing then obviously they are important heat sinks. Perhaps you may care to try the reverse argument why shouldn’t it change? Who care about modeler Arctic assumptions? The scientists pushing the CO2 is evil meme specify that the polar regions are the most sensitive. Yet, alarmists are eager to ignore the Antarctic while pointing at the Arctic which appears to be polar opposite to Antarctica in warming/cooling cycles. Then there is that classic strawman distraction; “rapid change”. According to Osterberg in both of his research papers, the increased storm activity began in 1741. According to Osterberg, Alaska is receiving some of the storm activity that Hawaii experienced. No increase, let alone “rapid change”, just a different weather pattern. Though it is odd, that snow storm precipitation is determined as greater throughout the surface layers where snow layers are yet to be compressed. Outside of the gross assumption that “climate change” done it, there is zero evidence provided for weather variation. One wonders why Osterberg did not tap into California glaciers to compare cyclical pineapple express snow deposits. Nor did Osterberg apparently compare West coast drought records; When weather patterns adjust latitudinally, that weather should have left evidence elsewhere. It’s called confirmation bias. A researcher knew what and how before he started his research. Good and evil don’t come into science. “alarmists are eager to ignore the Antarctic”… speaking of confirmation bias. And if they aren’t, well they’re just at the trough again I suppose. There are some very compelling reasons why the “Arctic” might be more sensitive than the Antarctic. “Good and evil don’t come into science.”, indeed. But they do in “climate” science, meaning, it is not science. The words good and evil don’t get used by scientists. They are frequently used by those attempting to politicise climate science. There is no way they might not call increasing ice ‘climate change’, and imply it is an anthropogenic greenhouse effect in question. As said so many times, Everything is caused by CC, including earthquakes, brexit, and bad beer. It seems this point is key. Is anyone familiar with these types of equations? Are the other 4 sources independent or self-referencing? I am not a scientist, but I will ask this question anyway: Where and how did they determine what “natural rates” for snow accumulation and “natural conditions” for snow accumulation on the mountain top(s) are supposed to be? The graph only goes back to the beginning of the Christian Era, and the Earth is quite a bit older than that. There will be even more snow in Alaska. Looking rather balmy in the NWT! Interesting that snow in the mountains has increased while winter precipitation statewide has stayed relatively unchanged since about 1926. Fantastic RH! A PaulHomewoodian standard graph of data (rather than fantasy modelling) showing damn all change over the supposed period of CAGW. But, hey, why let a few facts get in the way of the greatest story ever told? The blogger there is brilliant. But don’t expect the same civilized tone you get at wuwt, the guy is a pit bull. RH How about additional cooling? 4K meters should work just fine. How can this be? The Arctic has been ‘super hot’ because of man-made climate change with ever declining amounts of sea ice. It’s counter intuitive to have both an overly warm Arctic AND record snowfalls in an southerly adjacent region. It seems that the observational evidence does not support the theory. When this occurs the theory must be discarded. The formation of snow is a phase change, releasing latent heat to sensible heat. Warmer air is able to hold more moisture. Less seaice also means more evaporation. Intuition is rarely the safest gauge. all that warmer air doesn’t seem to be holding more moisture very well if it is being dumped at an “alarming rate” on alaska as snow. The difficulty with the water vapor feedback theory is that from 1998 or so we have emitted 30% of all the CO2 ever generated by man, but the specific humidity anomaly has remained flat. Another (not so) pretty theory slain by an ugly fact. It can get too cold to snow because the air cannot hold any moisture. Technically there is no level of “cold” at which the air contains no moisture, up to the point you start condensing the N2, and then it’s no really “air” anymore. The recoverable amount for any change at saturation may be negligible, but still not zero. No, warmer air can hold more moisture than colder air. Minus 10 deg air usually holds more moisture than minus 20 deg air. In both cases the precipitation is snow. So you get more snow at the warmer temperature. You also get more moisture in the air if the nearby ocean is ice-free than if it is entirely ice covered. Evaporation happens over cool water, but not so much over full sea-ice cover. There is a question in terms of mass balance. Is the warmer air (or lake/fiord)temperature that melts the ice near the glacial terminus doing a more effective job than the increased precipitation in the ice accumulation zone? If the mass balance favors accumulation then the terminus is likely to advance. If not then the terminus may recede. Naturally, there are cycles of advance and retreat that have nothing to do with man made climate change. The extent to which human activities are impacting is very poorly constrained. The jet stream will strongly press against Alaska. Has there ever been an easier area of study as climate ‘science’. Not matter what happens it is all down to AGW , fire up a couple of models and they can get any result they ‘need’. Easy life really, part-time work , full time pay and no worries about having to do any actual hard science. Not since the early seventeenth century when all you had to do was echo the papal line. OTOH, back then the penalties for nonconformance were more serious. You didn’t just lose funding and get called names. Giordano Bruno was burned at the stake in 1600 for expounding unapproved views. Don’t worry. I am sure someone is rallying unethical attorneys general to fix that. The Chicken Littles squawked and squawked, it was LITERALLY THE END OF THE WORLD. Then the Blue Jays started playing, hockey playoffs started, and everyone went back to sleep. Those of us in the “Not Chicken Little Club” got a hazy memory of just five years ago…when due to a small snow cap in Ontario, and a very dry spring…the Great Lakes were GOING DRY!!! Why, they’ll have to start dredging the channel down in Windsor, and the recreational boating industry will be decimated. Just another post proving the warming/climate change started long before man’s effect on CO2 concentrations. The massive Laurentian Ice Shield that covers most of Eastern Canada and the NE US for 90 Kyr every 110 Kyr isn’t built from pixie dust and unicorn droppings. That water comes from warmer oceans and a falling temp, very cold interior continental (land) surface. Now just give us a few decades of cold summers, and the ice cometh…. once again. Obviously all those Neanderthals must have abandoned burning stuff and gone windmills to cook their food. No CO2, no CAGW. Result? Ice Age. Sorry. “Ice Age” happens to be on TV at the moment. When the TV gets up to “Ice Age: Continental Drift”, I’ll keep you up to date on what Man will cause back then. Or maybe it was saber-toothed squirrels that did it? Good thing there are none of them around anymore! Unless Man caused their extinction? Such correlation rocket science also caused drug abuse to rise with the warming and snowing. I blame marvel comic movies releases, graph the number of marvel comic movies to global temperature. I’d like to see the equations for compaction. How do they account for glacier flow rate? A vertical ice core is measuring snow that accumulated there that year, firn that fell hundreds to thousands of feet upslope, and glacier ice that fell far upslope. The glacier ice that they pretend fell at that spot at 13,000 feet elevation in 1,000 A.D. actually fell near the top of the mountain, upwards of 20,000 feet elevation, where sublimation rates are much higher. It all depends on the flow rate of the glacier, some move miles in a year, and the flow rate varies on top of that. Ice core climatologists don’t seem to realize that they are looking at snow fall in different environments as they look further down an ice core. Actually it’s even worse than that. Mt Hunter is only about 14,700 ft tall. 13,000 feet elevation is just below the peak, the peak is about 80 degrees, an angle that snow and ice are quite unstable at. Why? WTF were you thinking? OK, that photo made certain regions of my anatomy pucker right up. It started to give me vertigo. I’ve often wondered about a specific statement that has been echoed in this article. Once the researchers established snowfall rates, they set out to identify why precipitation has increased so rapidly in such a short amount of time. Scientific models predict as much as a 2 percent increase in global precipitation per degree of warming because warmer air holds more moisture , but this could not account for most of the dramatic increases in Denali snowfall over the studied period. If warmer air HOLDS more moisture, wouldn’t it also tend to retain more of that additional moisture during rains? Or are the models assuming that when the rains come, ALL that extra moisture is released and the air reassumes the “Normal” moisture carrying content even though it is still warmer? Contradictions are fine in climastrology, this is not the logic you are looking for, move along. You will find associations to things like increased lightning strikes and wind shear through the proxy shell game which is passed off as science. More snowfall in Arctic regions would be a pretty strong negative feedback. there is no such thing as negative feedback in the climate anymore,anthropogenic co2 overwhelms all natural mechanisms apparently. At last!.. some real climate science been done. For me this is one of the most interesting reports l’ve seen this year. Because if it shows that climate warming is linked to increasing amounts of snow falling over the NH. Then it may well be pointing too how the climate moves from warming into cooling and ice age formation. This must be from the John Holdren School of Climate Science and the John C. Beale Chair of Distinguished Research. That the world has warmed since the bottom of the LIA is beyond question. That man is responsible for this warming is not. If memory serves there was “record” showpack in California last winter. This report is important because if it shows that climate warming increases snowfall amounts across the NH. Then it makes it clearer how a warm climate could set the trigger into climate cooling. Because if the land masses of the NH have thicker snow cover, then that would extend time it takes for the snow to melt away during the spring. Thus extending the time the snow cover lasts into the spring. And that will make skiers and ski lodge owners very happy. What’s not to like? You obviously don’t remember all the Climate Scientists who have been saying snow was a thing of the past and that the then dropping snow fall was exactly what was predicted by CAGW. If the snowfall had halved instead of doubled, the cause would also be “climate change”. Of course. They would just search for a plausible way to explain it using the warming. Why this is of interest to me is because at the moment the snow mass across the NH is running well above its average. Now the very same thing happened last year and there was a sharp increase in the spring snow extent. Which had until then been declining since the late 60’s. So it will interesting to see if the same thing happens next spring. Interesting things about that plot… 0.7 is written where I think the author means 0.8, at least by the numeration scheme around that number. Also, Yes, snowfall in Alaska “doubled” since the industrial revolution… but it also tripled before that on that same plot, and arguably doubled in the same time period previous to the industrial revolution. But somehow, “man is the only explanation”… funny how it always ends up like that. you forgot the sarc tag tony. This sort of platitude gets echoed around WUWT so much, here in quotation marks, it no longer gets questioned for the straw man it is. I’m not sure why you would highlight the industrial revolution if you were not trying to blame mankind’s energy use activities. Why bother denoting such an arbitrary time period if the point is to examine natural changes? Yet again, another Supernatural findings….they ought to stick to Science and leave this supernatural bit to the love-beads-and-flowers set : “but ice cores show the scale of the change well above natural conditions.” If the snowfalls are not “natural”, what is? It is a bit odd that they’d like to “blame” increasing snow (in an Alaska predicted to be snowless in 50 years) on “climate change” and then point out it started in 1740. 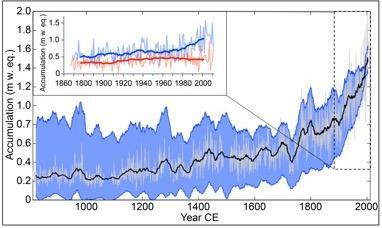 It is interesting that the ice cores show increasing snow falls…but certainly isn’t down to CO2 or industrialization. I can predict with 99.99% certainty that ANY finding whatsoever can be caused by global warming. With the right input parameters, more snow, less snow, no snow are all caused by warming. If there were less snow, they would have found a way to explain it using warming. It is absolutely ludicrous that this is in any way considered science and not a long term con. Nature is defined as “whatever makes today look wrong”. Other than that, it’s a meaningless word. It just gets worse and worse, out on a limb to the tiny branches at the end……. Global warming now also causes global cooling. Which is why the climate charlatans changed their marketing brand name to Climate Change. I am quite sure about the re-branding of AGW to Climate Change circa mid-2000’s, circa 2007-2008. 2008 was the Change year for Global Warming to Climate Change branding. The IPCC’s AR4 made that clear due to the inconvenient Climate temperature hiatus that was setting in. The Climate-Gate emails also reinforced the fact that the GMT hiatus had become inconvenient to the message of global warming. A re-branding effort commenced. Like any propaganda campaign (marketing) effort must undertake. Tony M, perhaps you can tell us which acroynym best describes the theory of extremely strong negative consequences to human life due to a global increase in average temperature caused by human emissions of GHGs. wikipedia is a nice time stamp. So obviously, “climate change” was NOT synonymous with “global warming” at that time. Bottom line : “climate change” as a synonymous of “global warming” emerged after 2002, around 2004. Also: “global climate change” was redirecting to “climate change” from 2004 to 2014, when it was changes to “global warming”. “Climate change” from more CO2 has so far been entirely beneficial, and will remain so for the foreseeable future, just as Arrhenius and Callendar imagined. Increased crop yields and more vegetation in general, even where no new irrigation projects have gone in or agricultural chemicals have been used, have resulted from having more plant food in the air, if those benefits be included in “climate change”. It amuses me the way that “climate scientists” can always explain why what just happened was caused by man made greenhouse gasses. However, they have a unbroken record of failing to predict what will happen next. This is untrue. They always predict accurately that something will happen next, and something always does. … and it can be predicted with 99.9999% (6-nines) accuracy that they declare they need more money to study it. Because of course, the climate scientists declare that good public policy must be based on good science. So if you are not willing to fork over the mega-bucks to science, then you are, by extension, obviously not interested in good public policy. Most of those peaks are volcanoes. Decreased heat flux waning after an eruption would slow down melt and allow more snow to hang around. This may be a post-eruptive equilibrium being re-established that means nothing in terms of tropical stuff going on. Here is a Science paper from before (1994) the climate scam thoroughly infected and disrupted an honest study of climate, natural variability, glaciers, sea ice, etc. Johannes Oerlemans, SCIENCE VOL. 264. 8 APRIL 1994. Here is a scanned image of the Science magazine I received today (19 Dec 2017). Q: So does Global warming cause advancing glaciers, or retreating glaciers? A: In the post-science era, CO2 can do anything. Now all observations of changing glaciers are due to the Magic Molecule’s effects on climate. That is how you know we are in a post-science era of climate paganism. I just love that “Ice runs wild in a warming world” schtick from Science magazine. No alarmism there, nope. Solid science…not, augghhh. Science is dead. Stick a fork in it. Killed by rent seekers who were enticed and ethically destroyed by politicians with an agenda. The null hypothesis has been replaced with ‘climate change’. You have to have strong evidence to argue that some climatic change is not happening, or is not due to the ‘climate change’, i.e. GHGs. It used to be very different in the nineties, but the last 20 years have been extraordinary. Everything is now caused by GHGs by default. There are some interesting points made in the article, but then they say ” Previous research has linked the warming tropical ocean temperatures to higher greenhouse gas concentrations.” with no elaboration on the claimed “link” to CO2. 1 – Warmists said that children “won’t know what snow is” (because of AGW). 2 – Now warmists say there is far too much snow (because of AGW). 3 – None of the models predicted this ( …er…….). These scientists could never have specialised in human biology because to do that you need to know your arse from your elbow. From my viewpoint, in their rush to blame “climate change” they missed the biggest factor of all: increased pollution leads to increased cloud condensation nucleii. Do you really think they rushed? This has been predicted for decades. Anthony, in your rush to blame “aerosls” you’ve neglected to comment on the elephant in the post: the strengthening Aleutian Low pressure system with its northward flow of warm, moist air, driving most of the snowfall increases. i think i will have to assume bob boder is correct. A big “i.e., the climate is changing all the time” should have been added to the end of this post, just in case some people think it changes according to their favorite theory. Why debate something that simply is? well unless you are a 11-15 micron lambda photon, then CO2 is invisible. So who can argue with invisibility of action? The Anchorage paper headline includes this: Snowfall in Denali National Park has increased dramatically during the era of human-driven global warming. Nice touch that “era of human-driven global warming” can’t miss a chance at inflicting a little propaganda. Does this mean the disappearing glaciers are in danger of being buried by too much snow. Leftists have been declaring for decades that CAGW will shutdown ski resorts worldwide and even said such crazy things as , “Soon, kids won’t even even know what snow look like.” (Dr. Viner, CRU/IPCC,2000). 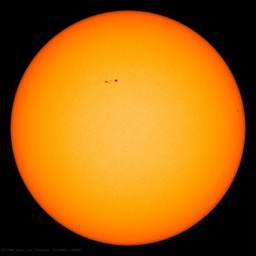 As both the PDO and AMO will soon be in their respective 30-year cool cycles and as solar cycles continue to collapse for the next 50~70 years, record low global temps, snowfall events, falling global temp trends, and polar ice mass increases will be the “new normal”..
Leftist CAGW advocates will continue say: increased snowfall, polar ice mass increases and falling global temp trends are consistent with CAGW projections, but eventually, people will realize CAGW is a complete bust. If CO2 explains everything, it explains nothing, SAMURAI. Yes, and, despite its flaws, we know that the cause of the blade changed in 1950 from natural to human. If there had been a very slow increase in snow beginning 1200 years ago along with a ‘very slow increase’ in carbon dioxide pollution (sic) then the authors might have found something. However, we can ask how many ppm change did they find back than to cause this ‘shocking’ result? The use of the word “pollution” suggests an agenda (secure more funding ?). I think they have gone well beyond the data. Namely, they found an increase in snow on Mt. Hunter. They should not try to reason beyond that until they have listened to Richard Feynman explain science. Fools rush in while wiser heads await the homogenised, pasteurised data. Oh look, a hockey stick graph. That means it must be gullible warming. If the temperature at the peak of a mountain was on average -20 c, and the climate warmed resulting in a temperature of – 15c, it would still snow. However, the warmer atmosphere would hold more moisture, resulting in more snow. So, paradoxically, a warmer atmosphere in some situations results in more snow. The thing to look at would be how low an altitude does the snow line stretch, is that snow line moving up? The glaciers may increase in volume, but where is their terminus? They point to the warming pacific and implicitly label that as unnatural. On that assumption the increased snowfall is more than the ‘natural’ rate. But if the warmer ocean is just due to natural cycles, then the increased snow is the natural situation as well. Jet stream pulls clouds over the Alaska. Is it me, or does this look a slightly less abrupt hockey stick graph? So supposedly warmer now causes more snow, but it didn’t have the same pronounced effect during the MWP and no corresponding substantial drop during the LIA? I know, they like to deny those existed despite the overwhelming evidence of both, but this leads me to believe their four equations just smoothed out the past while retaining the present and, voila, hock-stick! Only in this case instead of splicing data they could just use equations to have the same effect. More snow means less sea level rise? How about that? I doubt the whole garbage. A couple of winters ago we had the “Rediculously Resilient Ridge” in the Pacific Ocean instead of a strong Aleutian Low. 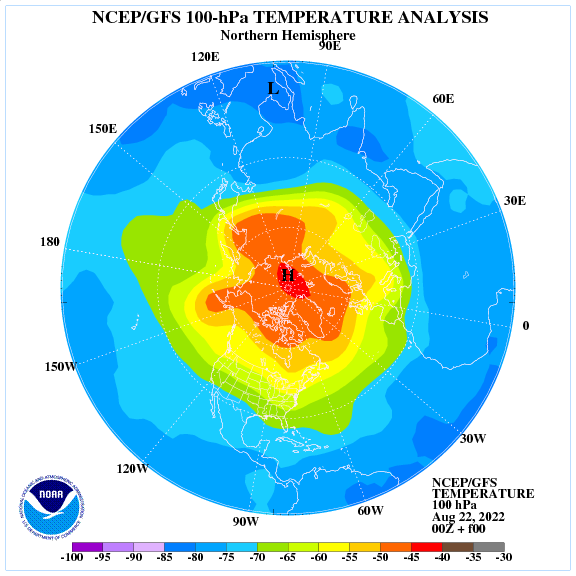 I believe that led to people freaking out about the “Polar Vortex” and a very cold winter here in the northeastern US. But maybe I’m wrong. At any rate, so-called teleconnections between, say, the Pacific ocean and the weather and climate someplace else are good to understand better. The Iditarod and Iron Dog may have a good trail this year. And, by extension, the glaciations are caused by global warming. Okay. I have read and reviewed all the arguments and stuff, looked at the charts and the pictures, and — well, in my speculative fiction about the Earth 350 years from now, I’m including a glacial maximum that starts some time in the mid-21st century and sends people off Earth looking for warmer planets. Pioneers, you know, kind of like the people who bought Conestoga wagons in the 19th century and moved westward. I’m calling them Conies. My concern is that they’ll just go trash another planet, just like they’re trashing this one. But it’s speculative fiction, so the Sphenodonts might find them tasty. Reduced snow cover = ‘climate change’. Increased snow cover = ‘climate change’. This ‘research’ and it’s stated conclusions are definitive proof that ‘climate change’ an unfalsifiable article-of-faith religion rather than objective, evidence-based science. Once and for all it should be filed under fake news. Bezymianny eruption 2017-12-20 03:55 UTC (local time December 20 15:55). Height of ash plume ~ 15 km ASL extending to the N-E. The webcam is located in seismic station, approximately 7 km (4.3 mi) East of Bezymianny volcano. Think what the explanation would have been if had snowed less? Be careful. California may come after the water rights and lock it up for themselves. A careful look at the graph shows most of the increase occurred before 1950. The increase slowed with rising CO2. This sort of rebuts the researchers’ conclusions. Yes, God specifically designed the planet to make use of climate change by exporting warm pacific and CO2 to the North where nobody lives. Scientist continue to pay homage to him. Plans to reintroduce Wolves to portions of the Continental Suburban U.S. must be underway by those same scientists. Jet stream pulls the warm, moist air over to Alaska. But CO2 molecules direct the Jet Stream, ren. Absolute proof required for such a positive statement. You obviously don’t realise just how knowledgable Ren is. They found a uni-corned goat (a mountain with doubling snow fall) , and it drinks water (climate change happens). This is proof that water (climate change) cause merging of goats’ corns (doubling snowfall). Isn’t it? Yet another instance of p-hacking : search a high enough number of place in the world, and you are bound draw some “significant” result out of the statistical noise. If some real link existed between “winter storms and tropical waters”, it would be true not just ” on a major summit in North America’s highest mountain range”, but on the world world, or at least all world’s highest mountain range. From scanning the paper, I did not notice any link to the actual field data so that independent researchers could replicate the findings. I also did not see anything that would lead me to believe that the statistical methods and assumptions were evaluated by professional statisticians. We know from the Michael Mann “hockeystick” that climate scientists are notoriously prone to using bad assumptions and incorrect statistical methods. I would take this study with a grain of salt until further studies corroborate these conclusions.